As part of the brand new partnership, Pepsi will receive sponsorship around BB&T Ballpark -- including branding of the Pepsi Party Terrace. (Uptown Charlotte, NC) - When BB&T Ballpark opens its gates on Friday, April 11 for Opening Day, fans will be able to satisfy their quench with Pepsi products, as the Knights and Pepsi Bottling Ventures have signed a long-term contract making the Carolina-born beverage company the official beverage provider of the Charlotte Knights and BB&T Ballpark. As part of the brand new partnership, Pepsi will receive sponsorship around BB&T Ballpark -- including branding of the Pepsi Party Terrace. "Pepsi is the perfect partner for the Charlotte Knights and the new BB&T Ballpark," said Charlotte Knights VP of Sales Chris Semmens. "Pepsi is 'Born in the Carolinas', will provide great products for our fans, and has a strong commitment to the Charlotte community. The new Pepsi Party Terrace will be one of the truly great spots to see a baseball game, and to enjoy the Charlotte skyline." With today's announcement, fans at BB&T Ballpark will be able to enjoy all Pepsi products, including Diet Pepsi, Sierra Mist, Mountain Dew, and Diet Mountain. Aquafina water and Gatorade will also be available for fans at BB&T Ballpark. Pepsi was first introduced in New Bern, North Carolina in 1893 by Caleb Bradham. 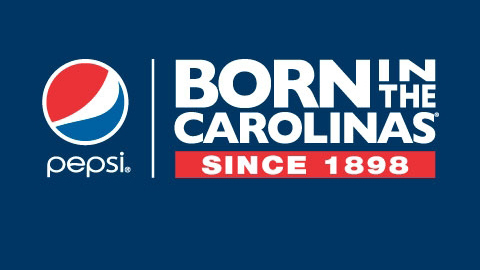 "The Knights new home in Uptown Charlotte is very exciting and all of us at Pepsi Bottling Ventures are proud to be their partner of choice - two great brands Born in the Carolinas," stated Randy Quirk, Vice President of Food Service for Pepsi Bottling Ventures. "We wish the Knights the very best in their new venue and encourage area baseball fans to come out, take in a game, and make this part of your summer family fun. Let's play ball!" Group tickets for the Pepsi Party Terrace, which feature a spectacular view of the playing field as well as the Uptown Charlotte skyline, are available now by phone at 980-207-0079 or via email at hospitality@charlotteknights.com. The Pepsi Party Terrace features 40 tickets, an all-you-can-eat buffet, and padded seating to enjoy the game. The Knights will open BB&T Ballpark on Friday night, April 11 at 7:05 p.m. against the Norfolk Tides. For more information about Charlotte Knights Baseball, log on to www.charlotteknights.com. Uptown Knights are Better Than Ever!